At least 33 people have been massacred in a new prison riot in Brazil’s northern region of Roraima, according to the country’s justice secretary. The incident came less than a week after the country was shaken by the brutal killing of 56 inmates in Manaus. The riot started at around 2:30 AM on Friday at the overcrowded Monte Cristo Agricultural Penitentiary in Boa Vista. Roraima’s largest prison holds between 1,200 and 1,700 inmates, according to various reports, exceeding its capacity twofold. The inmates broke padlocks in their cells and escaped, slaughtering other prisoners, reportedly members of a rival drug gang. The 15 officers on duty were unable to stop the violence, which was only quelled after the intervention of the Special Operations Battalion (Bope) and Brazilian military police. “It was not worse because we were able to react,” a security source told Jornal O Globo. Videos later emerged online of the gruesome aftermath of the riot as some victims were beheaded, dismembered and their hearts torn out. Some bodies were also burnt on a bonfire, the Estado de S.Paulo newspaper reported, citing security officials. Roraima Secretary of Justice and Citizenship, Uziel de Castro Júnior, has blamed the attacks on the First Command of the Capital (PCC), Brazil’s largest organized crime group based in Sao Paulo. The majority of those killed in Sunday riot at the Manaus prison, were members of the PCC, who were butchered by prisoners from the local North Family drug faction. 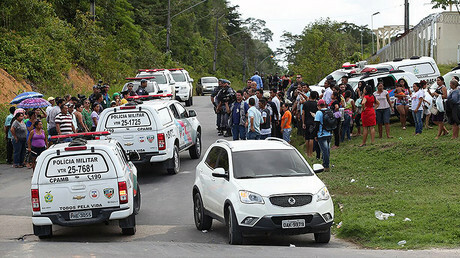 The North Family reportedly attacked the PCC on behalf of the Red Command from Rio de Janeiro, which is believed to be the second-largest drug gang in the country. Last October, clashes between First Command of the Capital and Red Command members left 10 people dead in Boa Vista prison. 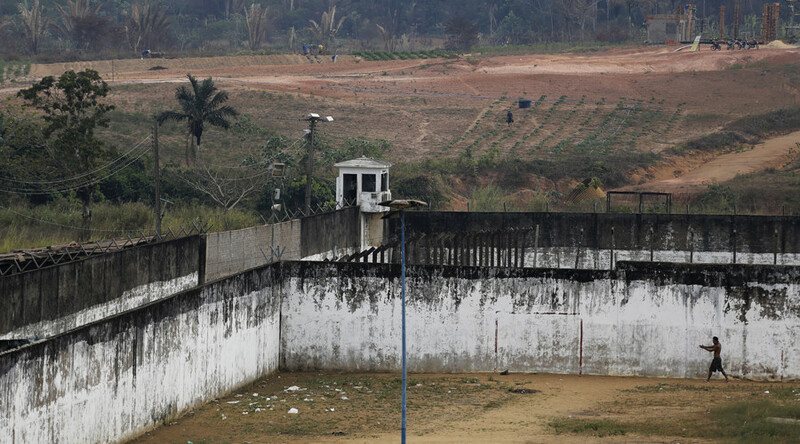 Riots are a common event in Brazil’s overcrowded and underfunded prison system, with the worst occurring in Sao Paulo’s Carandiru prison in 1992. 111 inmates died back then, with the majority being shot dead by the military police force.